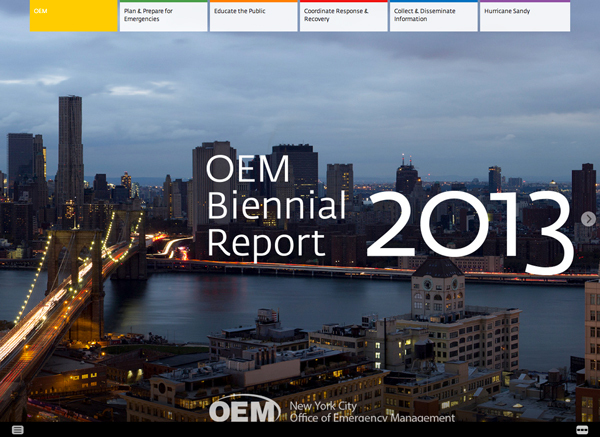 The New York City Office of Emergency Management (OEM), a client of C&G Partners since 2006, has turned once again to the firm for the followup to our innovative, all-interactive OEM 2011 Biennial Report. The new 2013 Biennial, which is available now online, builds on the publishing engine we built for the 2011 launch, adding all new content, special features and categories. 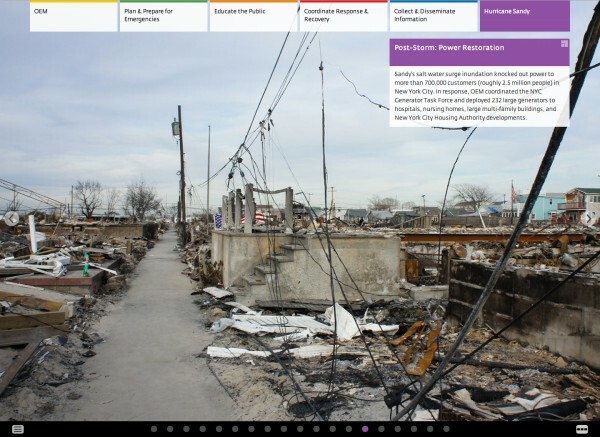 Content now focuses on the issues OEM has faced since 2011, most infamously Hurricane Sandy in October 2012. The Biennial features uncommonly powerful full-screen images throughout. 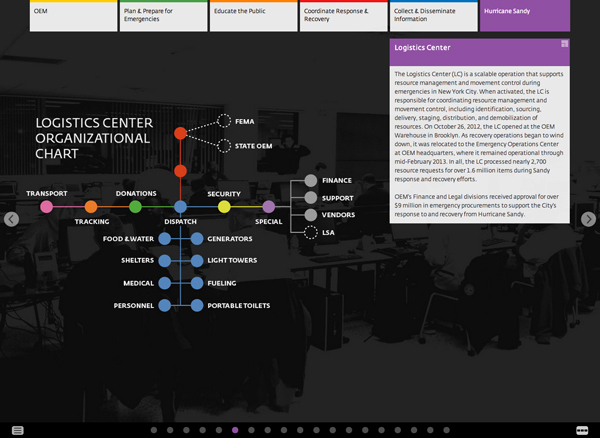 These include photography of the aftermath of emergencies, the City's response, policymakers, the public and infographics that explain how OEM works and what it does. 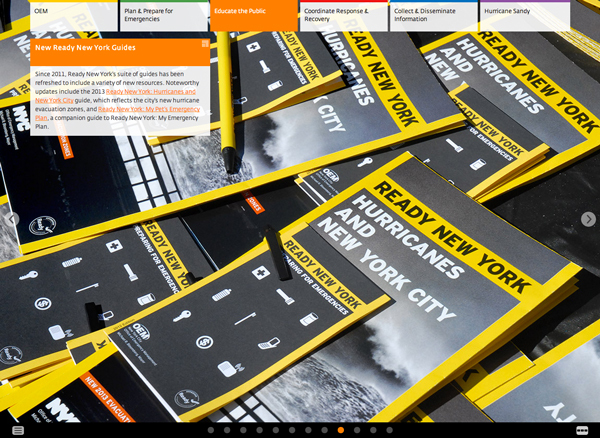 The 2013 Biennial now even features some of the firm's print design work for OEM, such as our popular hurricane prep brochures, that unfortunately became especially relevant during Hurricane Sandy in New York. See the new 2013 Biennial here. See the 2011 version here.